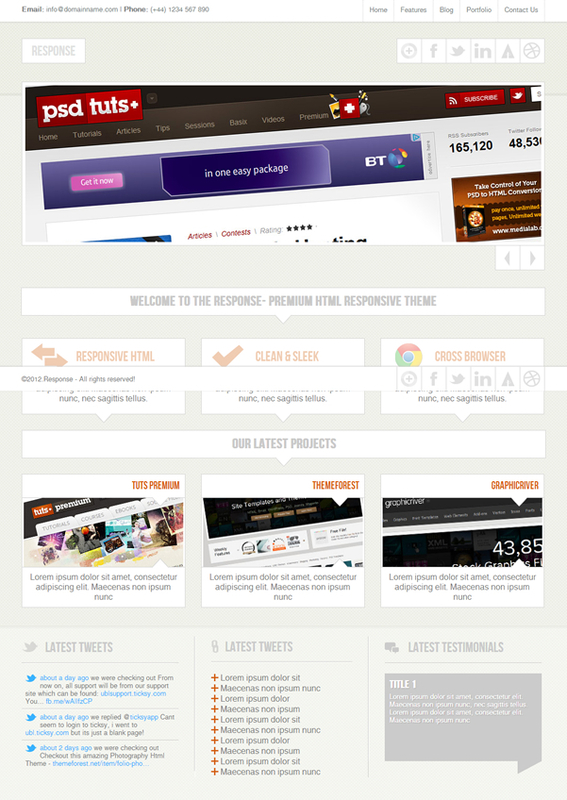 Response is a clean and professional HTML template suitable for business, portfolio or General websites. Its created using the latest technologies like jQuery, Ajax, CSS Media, CSS Transitions. With a responsive design it works on all devices: Desktop, tablet, iPad, iPhone, and Android Phones!